I was 20 years old and had finished a wonderful 9 months bumming around India and Sri Lanka. The route back to America, with a couple of friends, was to be overland by bus and lorry across Pakistan, Afghanistan, Iran and Turkey. I was most excited about visiting Iran where I imagined ruined cities in the desert and blue tiled mosques touching the sky. But I never made it. Anxious parents convinced me to fly back after I fell ill with a stomach bug a couple weeks before I was to leave. It remains one of the regrets of my life that I allowed myself to be put off. As some sort of compensation, when I arrived back in Minneapolis and moved into a rooming house on the University campus, an Iranian man became my closest friend. We lived across the hall from each other and shared a love for music, politics and drinking beer. The Revolution unfolded soon after we met, which my friend NF, completely and wholeheartedly supported. His lifestyle of boozing, schmoozing, rockin’ and rolling would have been anathema to the ayatollahs back home but so deep was his disgust with the Shah that the new religious leadership seemed just the antiseptic his beloved Iran needed. He married an American lass and in 1980 returned to Iran, with every intention to settle permanently back home. Less than a year later they were back in Minneapolis. He admitted life had become too restrictive for his liking. Booze was definitely out of the question but he was shocked to discover that rock and roll was also banned. NF was a huge Genesis, Peter Gabriel, Pink Floyd, Yes and Camel fan. A life in which he would have to listen to this music only in headphones was simply not on. I’m sure there were many other reasons for his return to America but I never pressed him. And he never gave up his support for Khomeini and the Islamic Revolution. In fact, if anything, something happened to him in Iran that made him an even more dogmatic supporter. Maybe it was guilt. 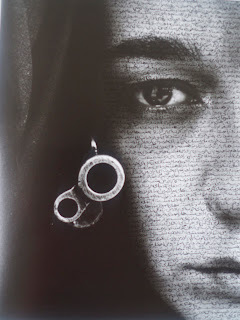 Shirin Neshat is an Iranian artist who left Iran to study in America a couple years before the Revolution. Like my friend NF, she has chosen to settle in America, even though, like him she returned several times after the Revolution. Her first body of photographic work was called Women of Allah, of which I include two examples below. This collection of photographs shot her to fame. What fascinates me about this work is the (to me, an outsider) strong ambiguity and mixed loyalties it demonstrates. As a woman and an artist with a bold vision focused on the exploration of gender roles it would be easy to conclude that her work about women in the Islamic Republic would be overtly critical. Yet, that is not the way she sees it. 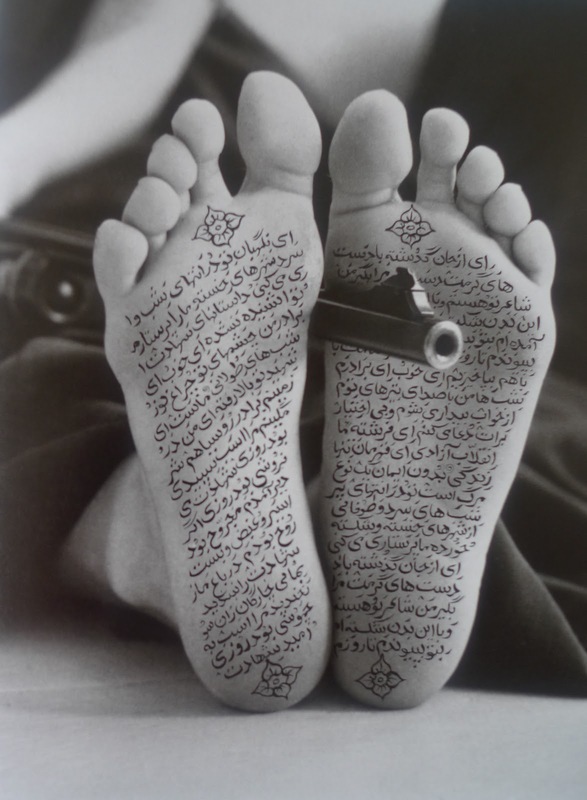 My point in this article is not to question or judge Neshat. I love her artistic vision and that she pushes all sorts of buttons. What interests me is the unexpected attachment she, NF and I’m sure thousands of other Iranians living in the diaspora, have to the Islamic Revolution. Even when it contradicts or constricts significant aspects of their own personality and identity. Interesting. Makes me want to go to Iran even more now. What does this have to do with music? I don’t know. 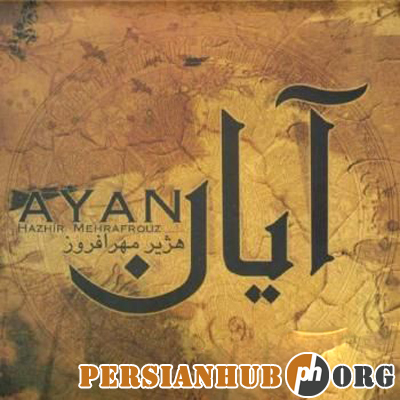 But it is perhaps a longish but hopefully, not too boring, introduction to the music of the Iranian singer Hazhir Meher Afrouz about whom I can find little on the internet except that he comes from a musical family and was taught by an uncle, Sayed Khalil. 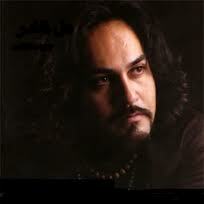 The music itself is to my mind very Iranian. Grand, some might even say, grandiose, in its vision, triumphal in its scope, the sort of music that should accompany a Revolution. Of course, the Revolution is ancient history now and this is a contemporary recording. But with the opening song Iran, the past is very much updated to the present. 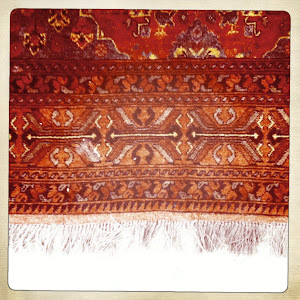 Afrouz has a pleasing voice and uses it well, often scaling impressive octaval heights. The instrumentation is a blend of eastern drums, dotar and western electric guitars and keyboards. I wish I knew more about this man and I wonder, where does he live? Whether in Paris or California or Isfahan, there is no doubt that like Shirin Neshat, he loves his country.